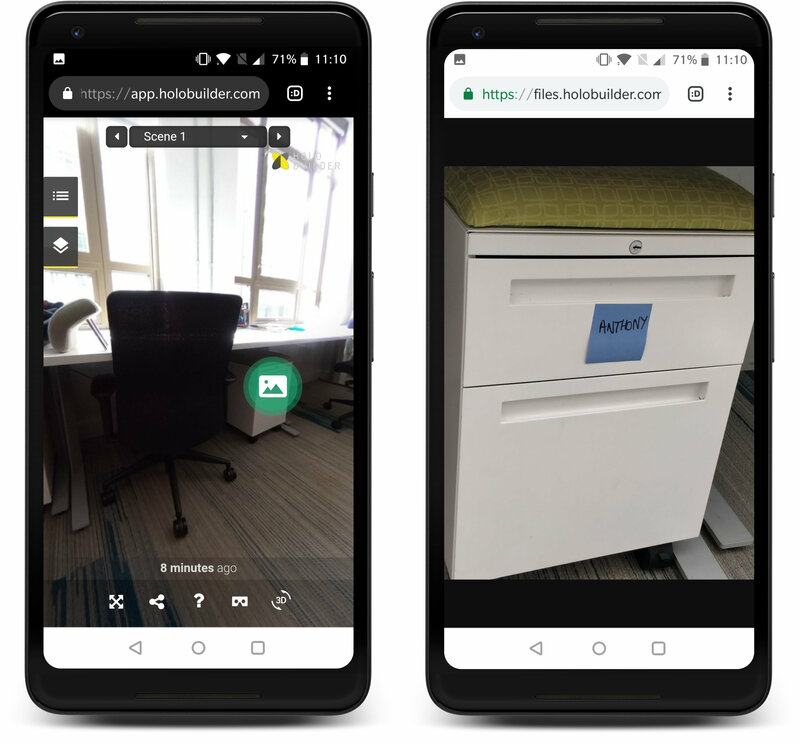 The JobWalk app now provides an option to add standard 2D images into your HoloBuilder projects directly from your mobile device. 1. 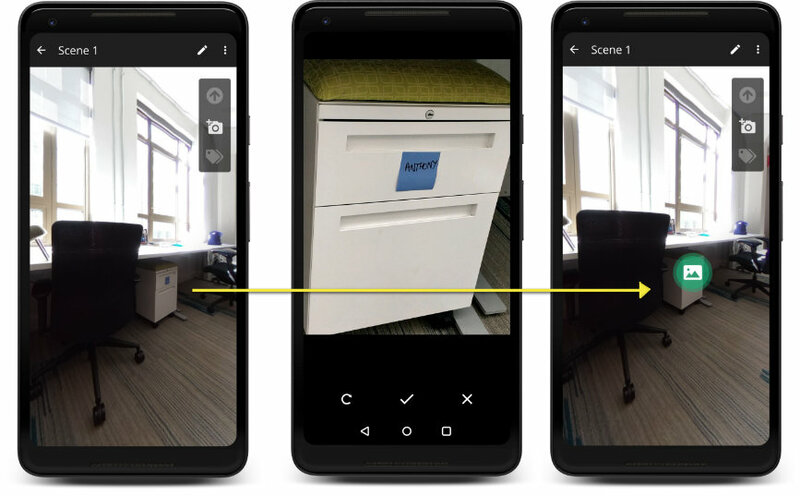 Download a project to the JobWalk app or create a new project – Note that it is only possible to use the 2D image feature if the project has at least one 360° image. 8. The picture has been added to the photosphere. You will see the image action icon as an interactive placeholder. To be able to access your project to add pictures, you must first make sure that you have the desired project on the device on which you are running the JobWalk app. Open the JobWalk app and make sure that you are signed into your HoloBuilder account. Once you have done this, choose the desired project and select "Download full project". Allow the project to download and it will appear on the top half of your device. Open the project and select the the appropriate sheet. Select the waypoint of a 360° scene in which you would like to add a photo.